• This species gets from 2-10m in height. 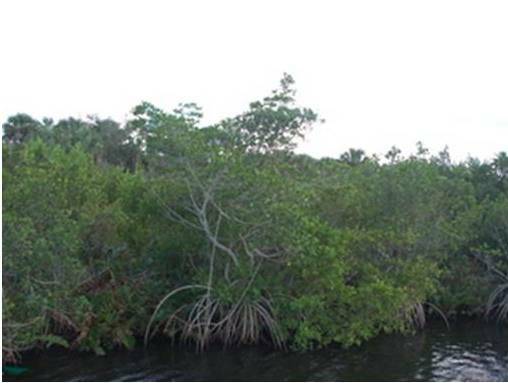 • The roots are stilted which is typical of the red mangrove species. • The leaves are usually around 10cm long although in some instances they grow longer and have blunt tips. • White petal flowers with a yellowish bud that is relatively small, i.e. about 10mm when mature. • Seeds grow on the tree and are shed once fully developed. They are long and slim and have bumps along the sides. They are usually green with a brown tip. Flowering and Fruiting: Throughout the year. • Timber used for construction. Distribution: Found throughout Fiji and also in Samoa, Tonga and New Caledonia.